They have been delighting television audiences for decades and now Midlands fans of the Walmington-on-Sea Home Guard will soon be able to see Dad's Army performed live on stage. The classic BBC TV comedy series written by Jimmy Perry and David Croft ran for an amazing nine series totalling 80 episodes from 1968 to 1977. 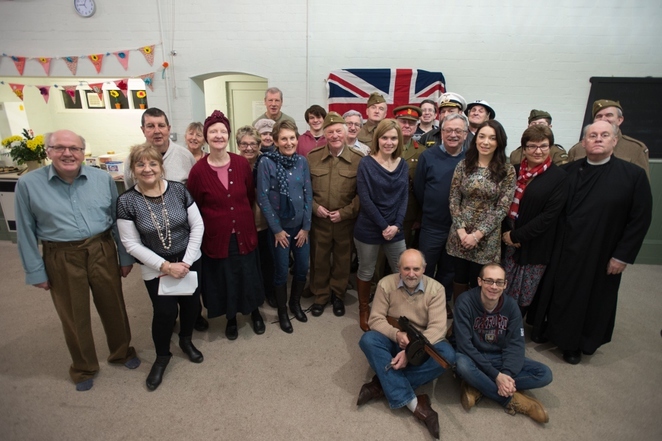 Dad's Army was set during the Second World War and so it is extremely appropriate that the stage version is to be performed at the Lichfield Garrick theatre by a dramatic society that itself began at the height of the war in 1943. The Lichfield Players began life at a time when groups of people chose to help with the war effort by raising money for charity. One such group gave a musical concert to help the Red Cross and decided to stay together, resulting in the creation of the then Lichfield Operatic Society. But, during rehearsals for their first production, Merrie England, the producer brought along a friend who later borrowed some members of the society to put on a dramatic production in aid of the RAF Benevolent Fund. And so what later became The Lichfield Players was born, staging its first play, the comedy, London Wall, at the city's Guildhall - with a platform having to be erected over the magistrates benches to provide a stage. The Lichfield Players, described as a 'not for profit' philanthropic dramatic society, currently performs four times a year at the Lichfield Garrick theatre. The Players, whose patron is actor Sir Derek Jacobi, welcomes auditions from people from all walks of life including those with no previous acting experience. Fans of Dad's Army will be able to see the play performed at the Garrick from Wednesday 1 February to Saturday 4 February. But people in Lichfield can also get a sneak preview when the cast and crew take part in a WW2 march through the city's streets on Saturday 21 January. The platoon will be in full costume and will be accompanied by an authentic wartime vehicle as they march from Greenhill to the Garrick theatre. 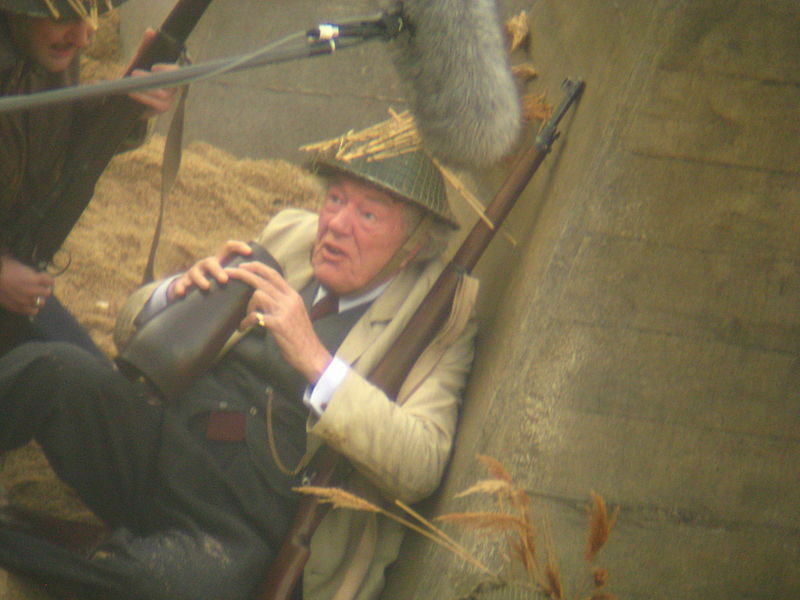 Dad's Army has a new generation of fans after a full-length feature film was released in 2016 starring Toby Jones as Captain Mainwaring, Bill Nighy as Sergeant Wilson, Tom Courtenay as Lance Corporal Jones, Michael Gambon as Private Godfrey, and also including Catherine Zeta-Jones, Sarah Lancashire and Mark Gatiss. 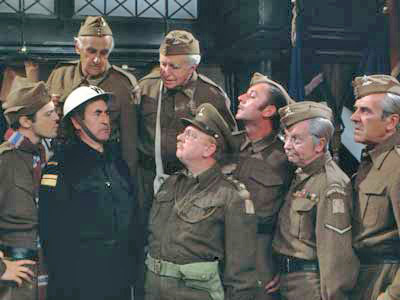 Audiences visiting the Lichfield Garrick will also see Mainwaring and the rest of the Home Guard battle daily against the Germans and the local ARP warden, Hodges, complete with all the well-loved characters such as "stupid boy" Pike, "Don't panic, don't panic" Jones, "we're all doomed!" Fraser, and "May I be excused, sir?" Godfrey. Dad's Army is at the Lichfield Garrick from February 1 to 4 starting at 7.30pm, plus a 2.30pm matinee on the Saturday. Tickets priced from £14 or £12 students are available online or from the Box Office on 01543 412121.